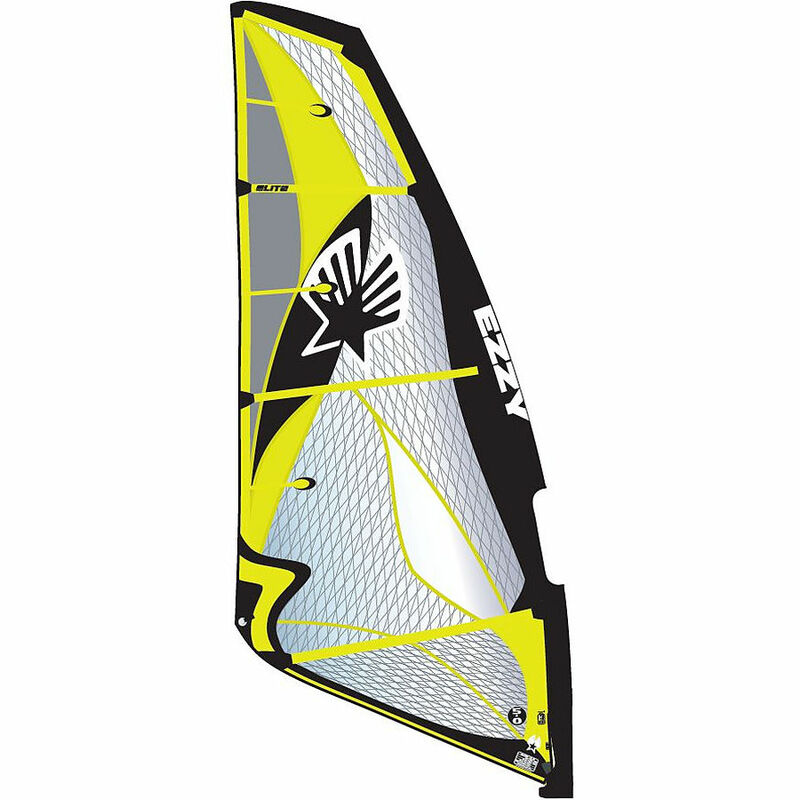 4	stars -	"Review for 2018 Ezzy Elite 4 Batten Black" Mark Taylor This 2018 Ezzy Elite 4 Batten Black is the best Windsurfing Sails I have tried. The Elite is our “desert island” sail—our choice for every kind of condition, from flat-water to double-mast high surf. Building an all-weather sail is much more challenging than building a sail with a single sailing style. The Elite needs to be maneuverable enough to rip up sideshore waves at Gnaraloo and onshore waves in Dutch Inne. The Elite must be powerful enough to deal with the strong current and gusty winds in the North Atlantic and stable enough to have fun when the winds blow hard but the water is flat. The only way to design something so complicated and multi-faceted as the Elite is by focusing on one refinement at a time. The latest Elite is the culmination of decades of R&D. During the creation of the first edition of the Elite, we developed the calibrated rigging system to take the guess work out of rigging, and we were able to implement that system in all of our other sails. Every single aspect of the Elite has a purpose and a story behind it. Through adjusting the shape and the materials, we have found a way to create a sail that feels on the hundredth day the same way it did right out of the bag—no loss of performance over time due to deformation. And at the same time, we work every year to expand the wind range one or two knots so we don’t need to re-rig as often. Further, tweaks in the material reduce the sail's weight or make it quicker to get planing. We build the Elite in our very own factory because that is the only way we can insure 100% Ezzy quality. Every single sail is rigged, calibrated, and thoroughly checked before it goes in the bag and out the door. At its heart, the Elite is a sail made for windsurfers who love windsurfing-in all conditions.